Iyengar Yoga is based on the teachings of the yoga master B.K.S. Iyengar, author of many books including the classic yoga treatise Light on Yoga. Iyengar began teaching in Pune, India, in 1936 at the age of 18 until his death at age 95. 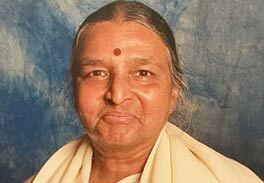 Today, his daughter, Geeta, and his son, Prashant, are also accomplished teachers and authors of several yoga texts. The Iyengar family’s teachings are deeply grounded in the yoga sutras of Patanjali, an ancient summation of the path and philosophy of yoga considered to be at least 2,500 years old. B.K.S. Iyengar’s intense practice and over seventy years of teaching have produced significant innovations in the teaching of the art and science of yoga. Iyengar Yoga, one of the world’s most widely-practiced forms, emphasizes correct alignment of all parts of the body within each yoga pose. This precision builds strength and stamina–balance and flexibility–and a new sense of well being. Achieving meditation in action, students learn to exist fully and vibrantly in the present moment. Read more about B.K.S. Iyengar at his official website. Qualified and rigorously trained instructors committed to excellence in teaching. Sequencing that develops strength, flexibility, stamina, concentration, and body alignment. Progressive and systematic approach that builds from the foundation learned in beginning classes to advanced classes. All of the teachers on the faculty of the Iyengar Yoga Institute are Certified Iyengar Yoga teachers, which means that they have successfully completed a globally standardized assessment exam after years of training. Make specific actions or poses accessible to those who may not otherwise be able to perform the posture due to physical limitations. Help adjust or support the practitioner to work in a range of motion that is safe and effective. Instruct or highlight a particular quality, action, or aspect of a yoga posture to enhance personal understanding of a posture and its effects. Help all practitioners (including the most advanced) gain sensitivity to the balance of effort and relaxation in the postures. Provide support so that the practitioner can receive the deep benefits of holding a posture for significant time periods. Enhance the restorative or therapeutic qualities of a posture. Props include sticky mats, blankets, belts, blocks, chairs, benches, wall ropes, sandbags, and other objects that help students experience the various yoga poses more profoundly. Allowing students to practice asanas (yoga postures) and pranayamas (breathing patterns) with greater effectiveness, ease, and stability, props can provide support for the body and allow the mind to relax and more profoundly receive the benefits of the yoga. How does Iyengar Yoga differ from other systems of yoga? 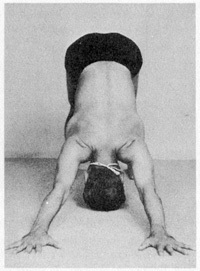 The Iyengar method develops strength, endurance, and optimal body alignment, in addition to flexibility and relaxation. The Iyengar method develops self-awareness, intelligent evaluation, and profound inward reflection. The attention to detail and cultivation of awareness is meant to not only maintain physical safety in the practice but to develop the mental benefits of a complete meditation in action. No two classes are ever exactly the same. The variation in sequencing of Iyengar classes is influenced by the level and condition of the student, time of day, time of year, and many other factors. In Iyengar yoga classes, the emphasis is on learning, not just doing so the teacher will usually teach through instruction, demonstration or adjustment so that the students can fully absorb the process and gain a more in-depth understanding of themselves. Standing poses are emphasized at the beginning to build strength and ease of movement, increase general vitality, and improve circulation, coordination, and balance. ensuring a strong foundation for the study of the other categories of and more advanced poses. People tend to stretch from their more flexible areas and rely on their better-developed muscles for strength, thus reinforcing postural habits. Through attention to proper alignment, Iyengar Yoga encourages weak parts to strengthen and stiff areas to release, thus awakening and realigning the whole body. An added benefit of an emphasis on correct anatomical alignment can be the diminishing of aches and pains and improved posture, As the body moves into better alignment, less muscular effort is required and relaxation naturally increases. How should I begin practicing Iyengar Yoga? If you have not done yoga before, you should attend an Introductory Course or a Level 1 class. Students who have studied other types of yoga but who have never experienced Iyengar Yoga are also encouraged to take Level 1 classes for a time to absorb the basic principles and apply them to the fundamental postures. What can I expect in a class at the Institute? During your first classes at the Institute, you will be introduced to the basic asanas (poses or postures). All the asanas have Sanskrit names that the teacher will use—don’t worry, you are not expected to pick it all up right away. The teacher will orient you to the fundamental shapes and actions of the postures and repeat them, so that you learn to know them. Gradually, you will learn more about the postures and about yourself, and this will allow you to do and understand them better and receive more benefit. All the yoga equipment is provided by the Institute, including mats. Do you teach Pranayama (yogic breathing)? Since the practice of pranayama required requires alignment, flexibility, lung capacity as well as the strength and understanding necessary to sit and breathe correctly, pranayama is introduced after a firm foundation in asana (posture) has been established. In the beginning level classes, breath awareness is developed to prepare for the practice of pranayama. Advise your teacher of your concerns, injuries, or conditions before class. Iyengar teachers are trained to modify and suggest alternative strategies (or postures) to enable you to practice safely and intelligently. We provide all the props necessary to practice. You may bring your own yoga mat if you prefer. Please be on time. Arrive 10 to 15 minutes before class is scheduled, to allow time to register at the front desk, change for class, and ensure space in the classroom. For reasons of safety and courtesy to the teacher and other students, you may be turned away if you arrive after class begins. Wear shorts or footless tights and clothes that allow you to move easily and that enable the teacher to observe you well. Yoga is always practiced in bare feet. Please do not wear perfume or heavy jewelry. Yoga is best practiced on an empty stomach. We suggest waiting a few hours after a heavy meal and at least one hour after a light snack before taking class. Do I need to be flexible to do Iyengar Yoga? No, Iyengar yoga is very beneficial for people with tight muscles and joints. Iyengar yoga works with finding a balance between strength and flexibility. Through attention to correct alignment and the use of props, stiff muscles are safely stretched. Do I need to be in good shape to begin Iyengar Yoga? No, beginning Iyengar Yoga classes are a safe place to begin practicing regardless of your fitness level. The yoga postures can be modified to meet the individual needs of the student. Since Iyengar yoga works with strengthening postural muscles responsible for healthy anatomical alignment, new students can quickly experience increased energy and general well-being. The emphasis on precise postural alignment provides opportunities and challenges for students of all fitness levels and all are welcome.